Transfer the photos or videos to your phone from camera or memory card with the speed of 14MB~16MB/S. 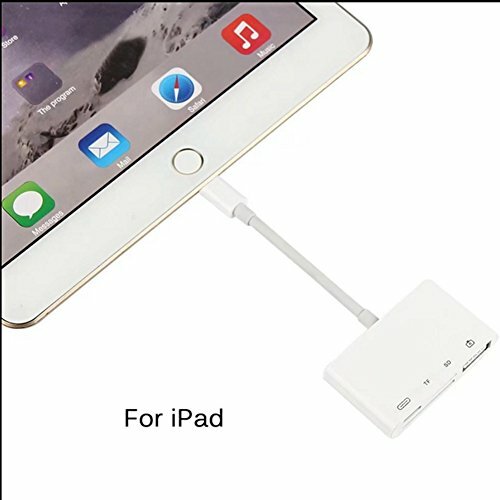 4 in 1 design, SD Card port/TF Card port/USB port/Female Lightning 8 pin charging port. Totally plug and play, no app required, iOS 11.3 supported, convenient to use.